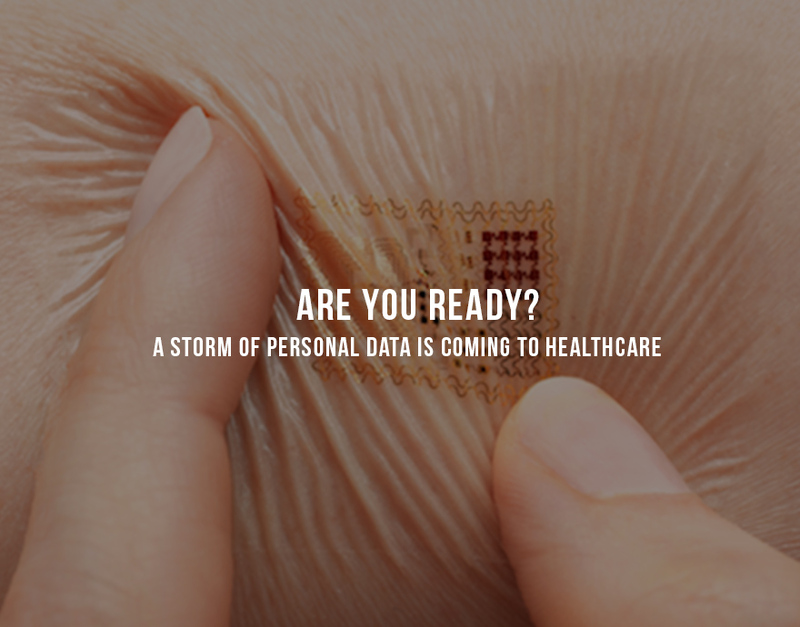 A storm of personal data is coming to healthcare, are you ready? At CES 2014, 40 percent more floor space has been dedicated to digital health exhibitors this year than in 2013. This includes many sensor tech companies that are acquiring data that describes our digital selves. For example, LG Electronics is introducing a fitness band, Reebok is showcasing a skullcap with sensors, and startups like Lively and ZamZee are releasing solutions for the elderly and for children respectively. This quantified-self movement has been heavily funded but is really still in its infancy. As the technology has moved toward commoditization, it will be increasingly included in devices that we already own. For example, both Apple and Samsung have included technology into their latest phones that includes advanced motion sensing technology, including a custom app by Samsung “S Health”. Apple even has a new patent on an integrated heart rate sensor (read more here). Apple’s M7 co-processor allows efficient motion detection and is now integrated with the FitBit mobile app removing the need for a special purpose device – a smart move. Why? Because the future won’t necessarily be about winning on the device side, it will be about how you use the enormous amount of data that is being generated by people to describe themselves in new ways. Individuals will want help managing the data, providing access to their data and using it for custom applications that align to their specific needs. This is where healthcare industry players should focus their energy. How are you planning to plug in to this ecosystem? What data will you help your customers acquire or will you ask them for access to their data as it is generated so that you can provide them a valuable service? For pharma, I’m enthusiastic about both the creation of mobile services that utilize these new data acquisition technologies, and also about the use of this aggregate data to unlock new knowledge that aligns R&D and marketing goals. For care providers, new data sources give physicians a new view into cause and effect, and for insurers and employers there can be tremendous gains in enhancing wellness programs and aligning incentives to healthier behaviors. On my end, I’m excited to be involved with two great businesses that are taking advantage of this opportunity today. Mana Health is a rapidly growing company that is taking as inputs these many new data points and making sense of it all to patients and care providers. OysterLabs is a mobile technology company whose AQUA platform is enabling marketers to use the data generated by mobile app users at the edge to improve audience engagement. In short, I for one am incredibly excited for this storm of data to be here and for all the opportunity it creates, and luckily I brought my umbrella. Keep up with Raj on his blog.